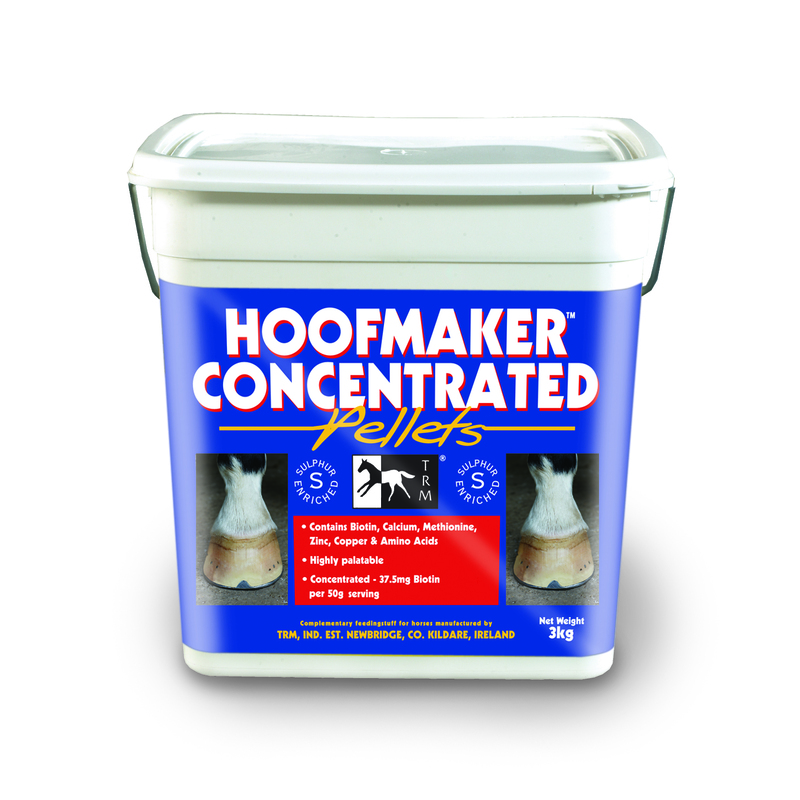 Hoofmaker Concentrated Pellets contain a high level of Biotin (37.5mg per 50g) and Bioavailable sulphur, which are both essential ingredients for the in the durability and integrity of Keratin Sulphate, which provides the framework for the hoof. They also contains good levels of Zinc, Calcium and Amino acids and are highly palatable. You should start to notice an improvement at the coronary band within 1 month. For best results, eVet recommends you use this product for a minimum of 180 days. Ponies & Foals: Feed half a scoop (25g) daily.